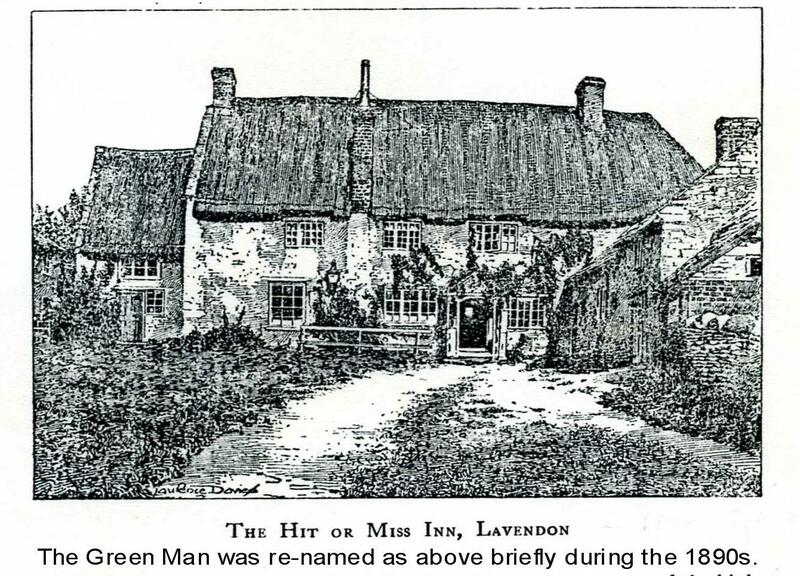 ‘The Green Man’ in Lavendon: What’s in a Name? ‘The Green Man’ public house in Lavendon is a firm favourite with many local and indeed not-so-local residents. The dominant sign-board with its distinctive depiction of a legendary Green Man provides travellers with an unmissable landmark close to the centre of the village. In general, depictions of the Green Man typically take the form of a naturalistic figure or face decorated with leaves or vines or other foliage, sometimes including fruit, sprouting from around a largely obscured face. The motif is thought to be pagan in origin and is variously regarded as a symbol of fertility or, perhaps natural re-birth associated, for example, with springtime. The depiction is a firm favourite, carved in wood or stone, appearing in all periods of Christian architecture. 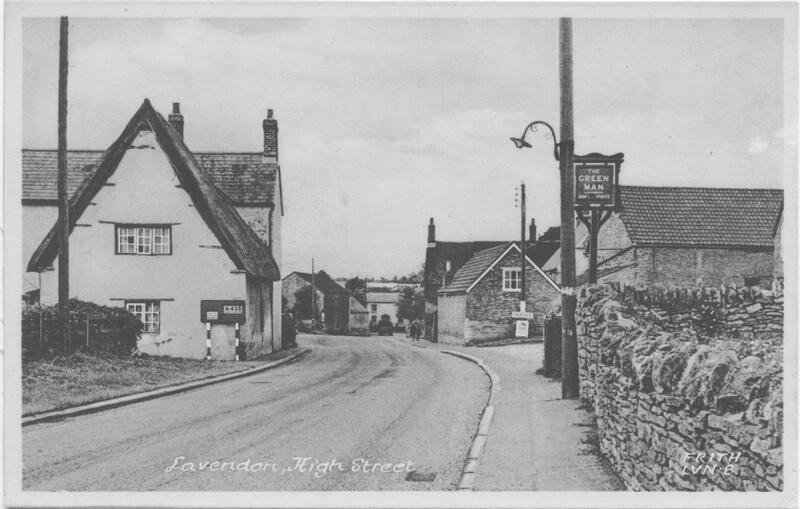 Ask a local resident today where to find ‘The Green Man’ in Lavendon and a traveller will be quickly directed to their destination, but that would not always have been so in times past. Look in Kelly’s Directory of 1924 when, unlike the 1915 version, there is no record of the ‘The Green Man’ PH, but instead the ‘Hit or Miss’ PH, managed by George Eales. 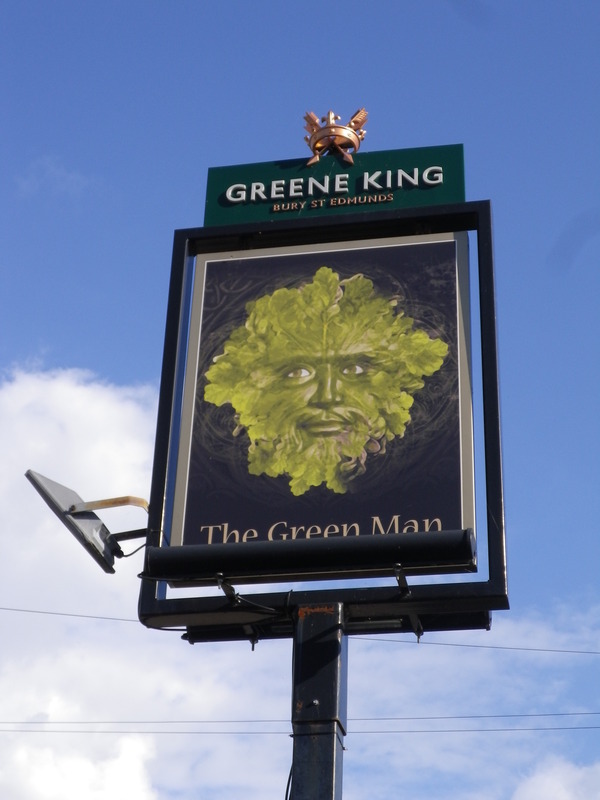 However, by 1928 the name had reverted once again to be ‘The Green Man’. 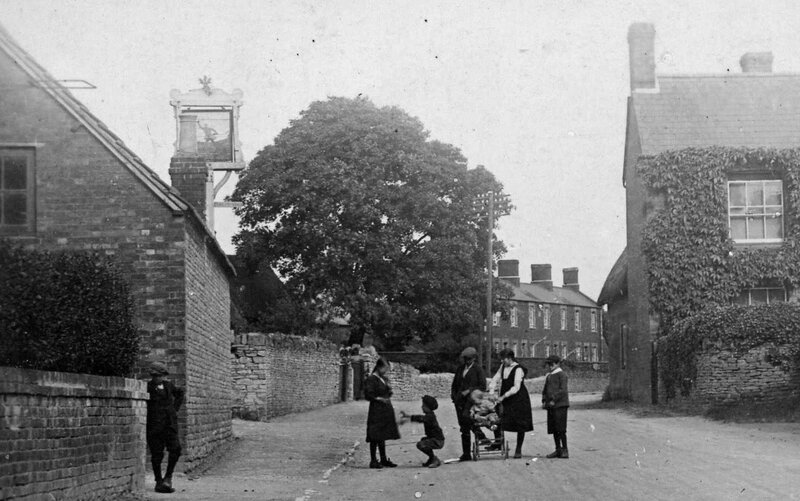 Interestingly, the 1920s appearance of the ‘Hit or Miss’ was not for the first time; the 1891 census records similarly show that the ‘inn’ was then known as the ‘Hit or Miss’ managed by one William Elliott, licensed victualler and brewer. Evidently the adoption of this name in the 1890s was then no more popular than it was in the 1920s – the census records both before and after 1891 show the name to be our favourite ‘Green Man’. 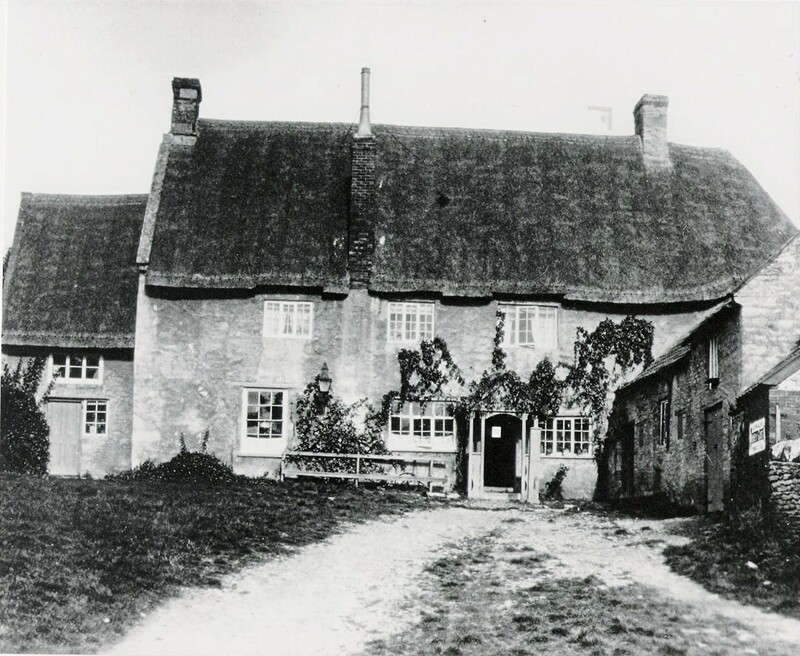 The ‘Hit or Miss’ public house, Lavendon, as it appeared in the 1920s. “… the pictorial representation of the sign appeals to my infant mind probably. Leaving out more or less conventional and would-be heraldic beasts, there are some with merit; none more so than the sign of the “Green Man” at Lavendon. It was some years since I was in that rather inaccessible corner of the county, but the wish to see the famous sign-board (to say nothing of the other strong attractions in the parish) drew me there again recently. This is a world of change and of disillusion; when the “Green Man” was reached it was hardly recognizable with a coat of rough-cast, and—the sign!—the sign had gone! A simple non-illustrative signboard for the Green Man, 1950/60s, courtesy of Francis Frith. The humour is that the house came to be called the “Hit or Miss,” until its proper name was in danger of oblivion; glancing at few directories on my shelves I find it called “The Green Man,” from 1847 right through to 1920; but the last issue (1924) calls it “The Hit or Miss,” and so does the Historical Monuments Commissioner’s Report; for it is a seventeenth century house, with an extension or outhouse at one end bearing the date 1678 in large figures. The main house is probably earlier, and has some very fine timbers, which carry the upper floor. 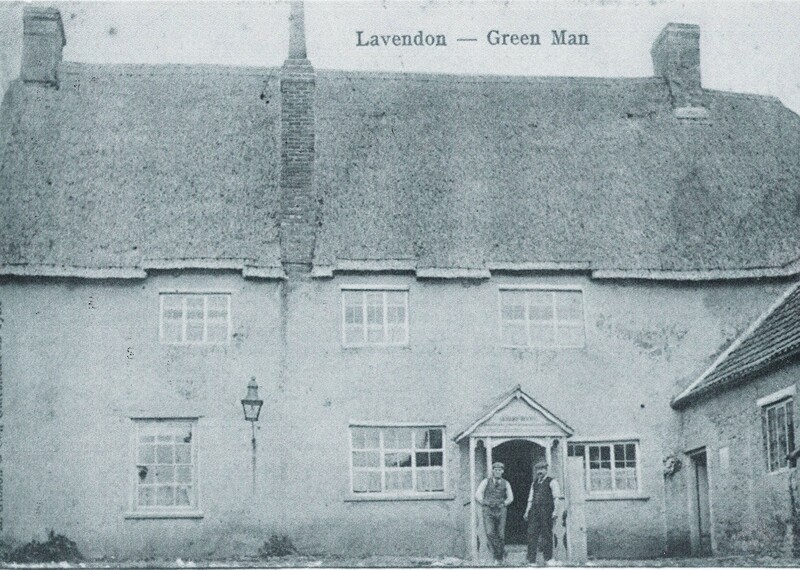 An early view of the Green Man PH. Is that a Green Man or a Sportsman (Hit or Miss) shown on the signboard? !